Jr. High Spelling Bee Winners! 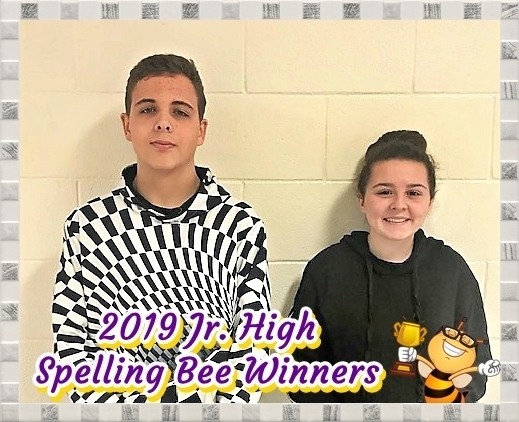 Congratulations to Jr. High (7/8) Spelling Bee Winners! Both students are in the 8th grade! They will compete on January 24 at the District Bee!